Shelia (my DIL) finished quilting her little quilt today. She did a really nice job of quilting. I had Shelia use a stencil for the centers so she would have a guide line for her feathers. I had her practice feathers on paper for a couple of weeks to get it programed in her memory. The outer border she used a scallop ruler to mark her shapes to repeat the cc in the nine patch and then freehand the feathers. NICE JOB!!! This was some of the scraps I gave her to play around with. I told her that she should give it to me for a Christmas gift to go with my big quilt that has been hanging for over a year that needs to be quilted. She started on the LA five months ago...... I think drawing out your designs on paper PPPPPP really helps when you quilt on the LA. I received this little package in the mail today. It was a surprise package from Joyce in Missouri and what a surprise. Battenburg napkins to go with my antique dishes, napkins with a blue edge to go with my Royal Stafffordshire. I have plans for each item. Thank you so much Joyce!! My DIL started piecing last June after I gave her all my scraps. I can not believe what she has made from the scraps. A fast learner!! I have another quilt parnter to travel to the quilt shows and shops with me. This a mini quilt that she made this week and is quilting it. She has picked up the quilting quite fast. And this is Molly McButter.... she loves to do sew ins and listen to music. She is the most affection it kitty. This is another rescue of mine when she was a baby. These cats are bred for show and only the perfect are kept. When I saw her we bonded right away, 6 weeks old..... the poor little thing has a crooked nose and a deformed mouth. Will she is my show piece now. Molly is eight years old..... they said she would never make it. Yaw!!! See her little deformed nose. Sometimes she has a hard time breathing. Finished the quilting .... now for the binding, sleeve, and label. I'm hoping I can get this finished up today..... This is what I have quilted so far. I'm a longarm machine quilter who specializes in custom artistic quilting. I have a back ground in interior and architectural design. I also love designing cottages. My home is my little dream cottage where you can come in relax and unwind. This is my blog to share my passion for little cottages and designing beautiful quilts for family, and friends. 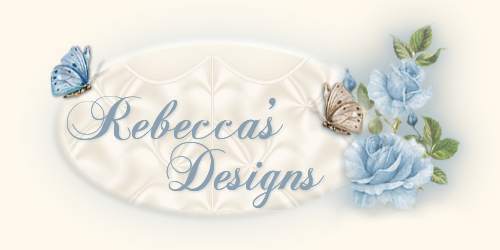 Please be kind and do not copy or download any designs from my blog without permission.